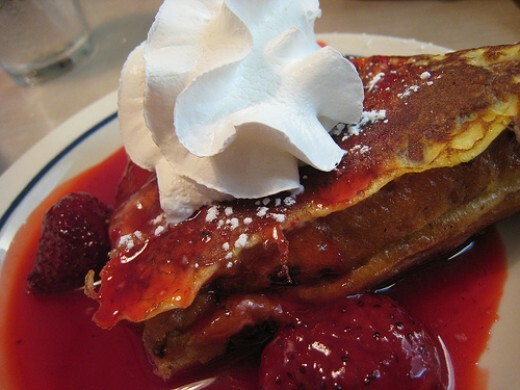 Here is a restaurant copycat recipe for International House of Pancakes Stuffed French Toast. You don't need any fancy equipment or ingredients to make stuffed french toast at home. Read on to find out how to make this restaurant dish in your kitchen. 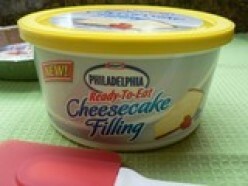 Here is a new product from Kraft Foods it is Philadelphia Ready to Eat Cheesecake Filling. A tub of this stuff makes a simple dish taste extraordinary. Slice bread into 1 inch thick slices. Beat eggs in a bowl with a splash of milk. Dip the bread slices into the egg batter. Add a few pats of butter and melt in a skillet. Fry bread on both sides until slightly brown. Put a few tablespoons of the cheesecake filling on one piece of toast. Garnish with sliced strawberries or canned strawberry pie filling.